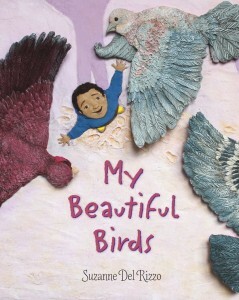 “…Quebec author, visual artist and publisher Angèle Delaunois takes the reader across the world to witness the importance of water to the children of different countries….Canada is represented by two spreads, one from Quebec and one from Nunavut, both which speak in terms of what is most familiar to young Canadian readers…. 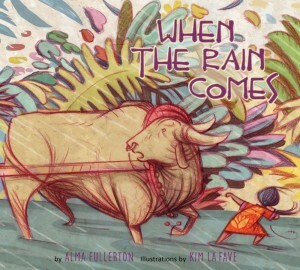 While other texts and illustrations will be familiar or at least obvious such as the Russian child of a fishing village and the rain experienced by an urban child in Germany, many spreads will rouse thoughtful discussions of unfamiliar depictions of water…. The artwork of Montreal animator, graphic artist and illustrator Gérard Frischeteau rings with authenticity, depicting each global child in both personal and expansive landscapes, often providing details about daily life and family…. 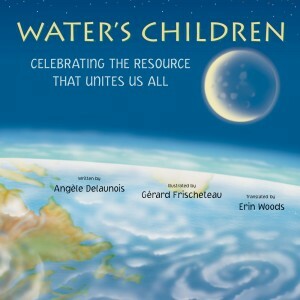 In fact, ‘Water is Life’ is a special touch in Water’s Children. On watermarks adorning each spread, the term ‘water is life’ is translated into a corresponding language, including French, Inuktitut, Catalan, German, Portuguese, Tamil, Arabic and Wolof with a final listing of all regions and languages represented in the book. 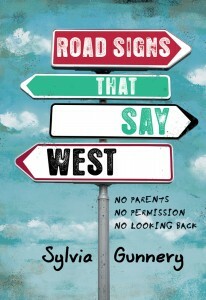 “…In Sylvia Gunnery’s novel Road Signs That Say West, Hanna persuades her younger sisters, Megan and Claire, to join her on a parent-free road trip across Canada….With a cast of interesting yet believable characters, Road Signs That Say West gives a realistic look into the lives and relationships of three very different yet inextricably linked sisters. Road Signs That Say West is a novel that will absolutely find its way to the shelves of the junior high library I run. In a YA world full of fantasy, sci-fi, and dystopian fiction, I have a large number of readers looking for what we call people stories: complex stories about realistic characters and their lives. 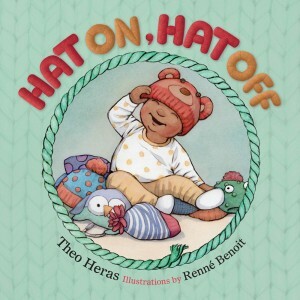 The sisters in this story are believable and familiar without the author’s resorting to clichés…. Road Signs That Say West reads quickly and cleanly, with simple yet engaging language. It’s broken up into sections; there are smaller passages within the chapters, and 6-8 chapters within each of the three parts. This structure makes the novel manageable for struggling readers without affecting the flow of the story or making it choppy…. On a personal note, there are few things I enjoy more than seeing my hometown mentioned in works of literature. Gunnery’s novel opens with a fitting quote from Islander Catherine McLellan’s song ‘Lines on the Road’. A few chapters in, there is a reference to the university in Charlottetown. A reader in Southern Manitoba will recognize the name Pinawa, and one in Saskatchewan might recognize Weyburn. Baddeck, Edmundston, Jasper, and Mount Robson are among the other places named as the girls travel west across Canada. The mentions of various cities and landmarks across the country is a perfect way to draw readers into the story. “[T]he complex, interactive webs which rely on biodiversity are critical to a healthy planet and to our health as humans…. By hunting [grey] wolves to the point of near-extinction settlers unwittingly disturbed the timeworn balance that had allowed all sorts of plants, animals and waterways to flourish. 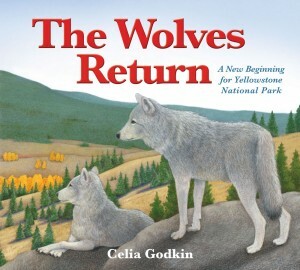 This lovely book shows how each piece began to be renewed as wolves were re-introduced to Yellowstone beginning in 1995. 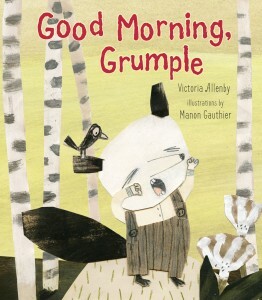 “…Good Morning, Grumple is a sweet story about a sleepy fox-like creature ­­- who does not want to get up in the morning – and the patient mother who knows exactly what to do. 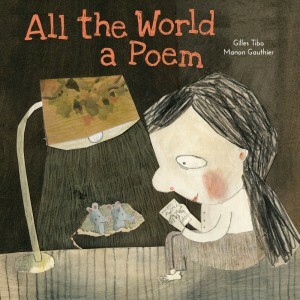 Author Victoria Allenby – whose debut picture books, Nat the Cat Can Sleep Like That, won the 2014 Preschool Reads Award – succeeds once again in crafting a charming tale befitting the kindie set. 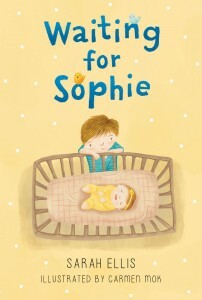 Just as the mother in Good Morning, Grumple tries different tactics to awaken her sleepy-headed child, Allenby incorporates different narrative styles, moving deftly from rhyming couplets to sing-song lyrics to abrupt variances in rhythm that allow for recalibration and reflection….